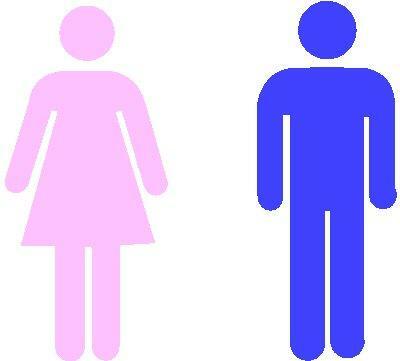 BOYS AND GIRLS (A SHORT STORY) | ItuaLive! I was reading A Moveable Feast, while my girlfriend’s red eyes were hidden behind a magazine. We just had a quarrel- the type that has no definable cause and lasts for weeks. In time something acidic would spew from her lips and I waited. In the meantime I pretended to be interested in the adventures of Hemingway in Paris. I was wrong. The tantrum never came. Rather a loud blunt sound erupted from my neighbours room, it sounded like a muffled punch. Then there were screams. I recognized the voice of my neighbour’s live-in-girlfriend. I approached the room and knocked. Nothing changed. I banged arrhythmically and soon I was contributing to the din. “No! don’t open the door!” the girlfriend said. I have wondered why she said that. My conclusion was she’d preferred the pain to the shame of the neighbourhood witnessing her shame. The rest of the neighbourhood had gathered and listened as the girl told her story in high decibels. My girlfriend joined the crowd and while I spoke to Calistus, I noticed her sobbing ostensibly to the girl’s tale. I can’t remember Calistus’ explanation as I was beginning to be embarrassed by my girlfriend’s display. Somehow a torn picture of my neighbour and his girlfriend got to my palm. The girl ran back into the room saying she had to collect her things. I held him while she entered but he assured me all was okay. I released him and he locked the door carefully smiling at his rug. I heard a slap. I thought, here we go again. I was wrong. As I made to resume my banging, I heard sobs and soon moans. The crowd seemed to evaporate under the sun with residues of hissing. My girlfriend muttered something I didn’t catch amidst sobs and entered the room. My neighbours’ moans continued, my girlfriend’s sobs dragged- both embarrassing for different reasons- while I stood outside half-heartedly trying to patch the image of Calistus and his girlfriend together. AM STILL SMILING. A VERY INTELLIGENT AND BEAUTIFUL PIECE, CAPTURING A COMMON IF NOT PERPLEXING OCCURRENCE. THANK YOU ROOKIE.